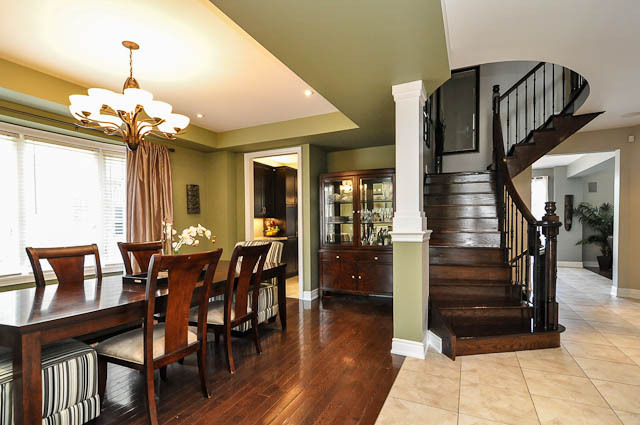 Situated in an established family friendly neighbourhood in Midtown, Oshawa! Welcome to 662 Idylwood Court, a charming brick and vinyl home with single car garage, ample driveway parking, and a covered front porch opening into warm and inviting living spaces. Beautifully maintained hardwood floors enhance the home’s warmth with their rich depth of colour, and are found in the main hallway, the spacious living room, and into the formal dining area – which has a double door walk-out opening onto an interlock patio leading to a deck area and the back yard. The family-sized eat-in kitchen is open to the family room below, and features ample cupboard and counter space, as well as a second walk-out from the breakfast area for access to the backyard. Hardwood floors are also found on the upper level, which features two spacious bedrooms overlooking the backyard, and both with plenty of closet space; a linen closet in the hallway; and a 4-pc washroom with a ceramic tiled floor and bath area, as well as a vanity with under mount basin. The main level also features a coat closet and direct access to the garage, both which are found off the main hallway across from the living room. 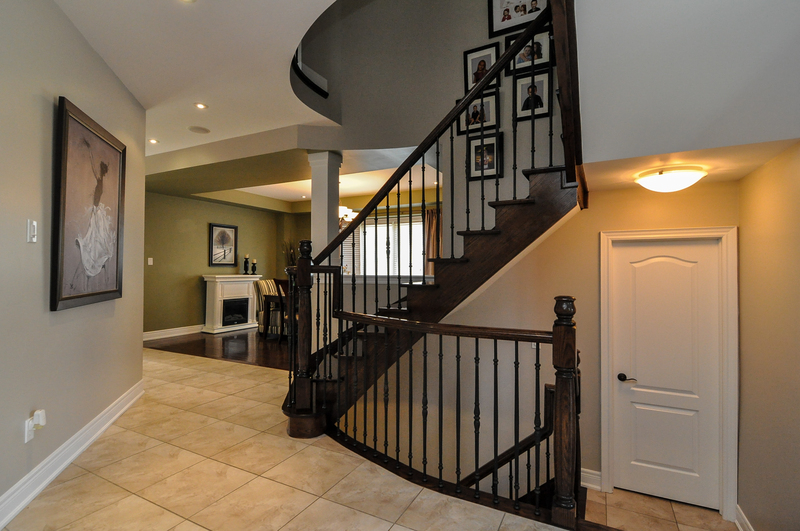 Steps down from the main level is a cozy family room open to the above breakfast area, and a third bedroom, both which are finished with hardwood floors. A 3-pc washroom with shower area and a vanity with integrated basin and counter top completes this level. 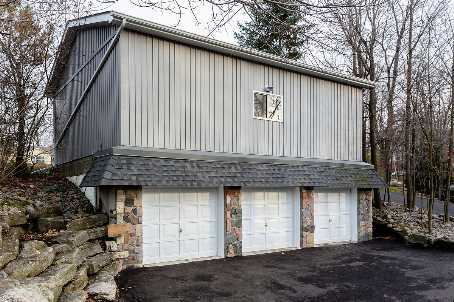 The basement level of this home features a bright recreation room, a fourth bedroom with a large closet, and a large bonus room that combines a laundry area with plenty of household storage space. This home also features a large, landscaped and fully fenced backyard with patio, deck, and storage shed – and is close to many amenities including schools, parks, and shopping – as well as a short drive to the Harmony Valley Conservation Area and access to the 401. Open House Saturday, September 13th at 2-4p.m. Open House this Saturday, September 13th from 2-4 p.m. at 435 McDonald Street in Port Perry! 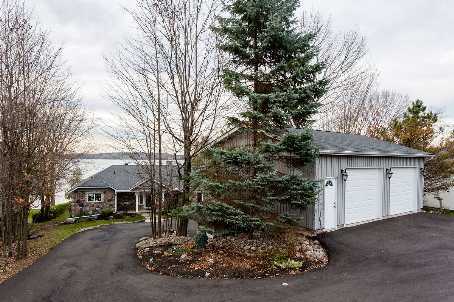 Gorgeous Custom Built Home very close to Downtown Port Perry and all other local amenities . Come and take a tour of this custom built home with just over 3100 square feet of living space and a completely finished basement. Pool size lot with plenty of room left over to create your own private oasis. Don’t miss the opportunity to see this fantastic home with a great layout. Drop By on Saturday afternoon or call to book your own private showing. If you could create the ideal home or retreat, what would it include? I have caught myself doing this on a few occasions! 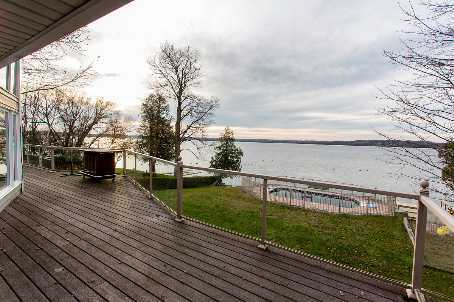 One such scenario involved me winning the lottery which is a touch unrealistic and the other occasion more or less evolved while I had the pleasure of visiting a fantastic home located on the shores of lake Scugog in Port Perry, Ontario. Although to simply label this as a home is a bit of an understatement, it is far more than just a house on a good lot. It is an absolutely fantastic home on a wonderful street situated in an ideal setting. If there is any tag you could through out there to describe this home, it would be paradise. I am certain that many great family memories have been created over the years while enjoying all that this home has to offer. Now there is an opportunity for you to create your own special family moments and memories. Where to begin a description on this home is a touch difficult, do you start by the water or all the amenities within this wonderful home. Lets begin at Fabulous Waterfront living at its best! Enjoy this Extravagantly Upgraded Home! From top to Bottom no expense has been spared in creating an absolutely fantastic living environment. 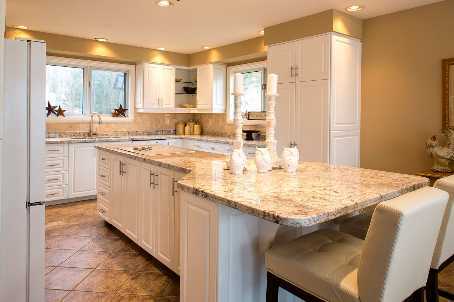 A spectacularly renovated kitchen is only only outdone by an equally spectacular and recently renovated lower level! 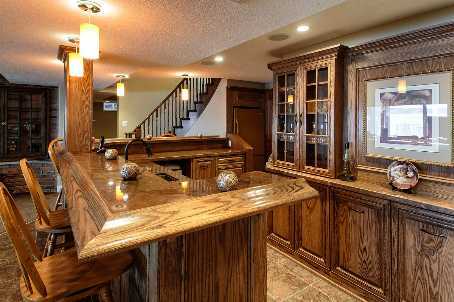 A wet bar with granite counters is the centrepiece of the lower level. 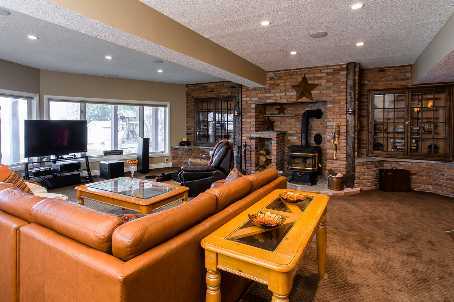 The bar is surrounded by a huge family room, entertainment area, office and additional bedroom. The Sprawling main floor has 3 generous bedrooms including a Dream Master Suite and lavishly upgraded bathrooms, hardwood and ceramic floors. The recently renovated gourmet kitchen has Granite Counters, Marble Backsplash, Pot & Pan Drawers, Pantry and built -in Cabinets; This Kitchen is a must see! The landscaping creates a welcoming environment that it is only out done by the spectacular western view enjoyed in the back yard or what some might want to consider the “Front” of this home. The salt water pool is retained by a stunning amour stone wall and overlooks the lake and the dock all of which is drenched in sun from mid morning until sunset. Returning to this home after day of work or play offers so many options, Enjoy a lounge chair on the dock by the lake, Go for a swim, relax with a drink or a book on the huge deck or on those chilly winter days you can still enjoy the comfort of one of the many fireplaces. Sensational Western Views From Almost Every Room! There is no need for a cottage or recreational property and when you consider Toronto is only a 1 hour drive, you truly can enjoy the best of both worlds!